This is a bit more like it. Tidal understandably annoyed a lot of people when it launched, as its mission statement seemed to be 'let's make these rich musicians even richer'. Now it's launched a Discovery section that promises to promote unsigned acts and get them heard. Which sounds more like its ostensible aim of being by artists for artists. "Some of the best music in the world is the music we never hear, because sometimes the most talented artists don't get the break they deserve," the firm said in a statement. "The highest quality releases will be featured in monthly Tidal playlists and be promoted along with Tidal exclusives. "To support Discovery, Tidal will actively engage in the marketing and promotion of new talent including staging a series of Discovery concerts across the country featuring some of the top streaming Discovery artists." The draw for emerging acts is that their royalties will be 75 per cent, with Tidal taking no ownership rights. If they pay a small annual fee, they could keep 92 per cent of the royalties. However, Tidal is still a small fish in the streaming pond. It has fewer than 800,000 subscribers, as Jay Z himself pointed out in a recent Sunday afternoon Twitter session in which he defended the service. Which is always a sign that things are going well. "Tidal is doing just fine," he tweeted. "The iTunes Store wasn't built in a day. It took Spotify nine years to be successful." He added: "My cousin just moved to Nigeria to discover new talent. Tidal is a global company." Tidal has been around a lot longer than a month, as Jay Z claims. It launched back in October, and garnered 580,000 subscribers before Jay Z bought it. So it's not quite the overnight success he'd like us to think. If it can promote new acts and get them a better deal, then good on it. It's just a shame it didn't make that its goal from the outset. 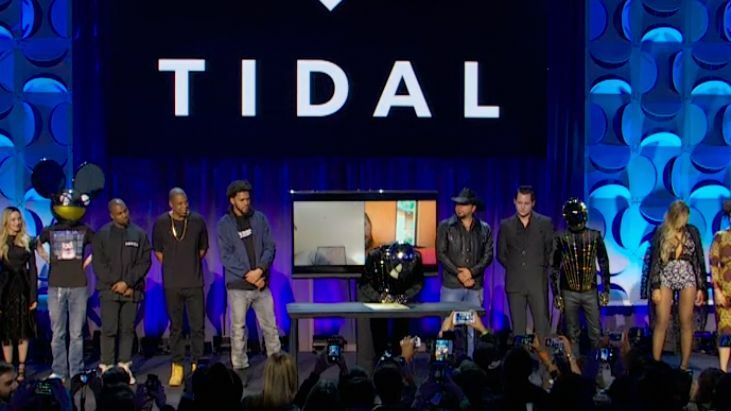 How does Tidal compare to its rivals?